The Department of Information Technology and Telecom (DITT) under Ministry of Information and Communication (MOIC) in collaboration with the International Telecommunications Union (ITU), conducted a Cyber Incident Simulation exercise on 27 November. The simulation exercise was designed exclusively for heads of government, policy makers and other high ranking figures to increase awareness on cyber security and preparedness to make critical decisions in response to cyber attacks. According to Professor Marco Gercke from Cybercrime Research Institute, who is also a consultant to ITU, the likelihood of Bhutanbeing under the threat of cyber attack is not so big, as it is a peaceful and unique country. However, he saidthere are certain risks. “Extortion, ransom ware, sound engineering, and release of internal emails of political parties, attack against elections, phishing and fake news, among others, are some cyber attack the country is vulnerable to,” said Professor Gercke. 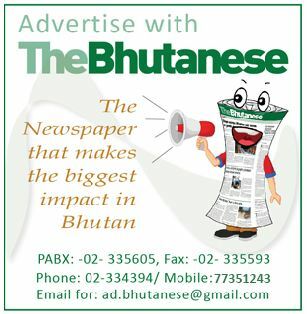 A DITT official said there have been several cases of cyber attacks in Bhutan resulting in major damages, in terms of money, data loss or service disruptions.He said there are morecases that are not reported or even detected. According to the MoIC Minister, the Bhutan Computer Incident Response Team (BtCIRT) under DITT was established in 2016 to enhance cyber security in Bhutan. BtCIRT has handled and resolved around 250 computer incidents, of which 83 percent were vulnerabilities found in systems followed by 10 percent of systems that were infected by malicious codes. The remaining 6 percent resolved incidents were phishing emails and sites, compromised system and intrusion attempts. According to DITT, maturity of cyber security in Bhutan is low. Although there are laws to safeguard data and information systems users, however it is not comprehensive or sophisticated enough.